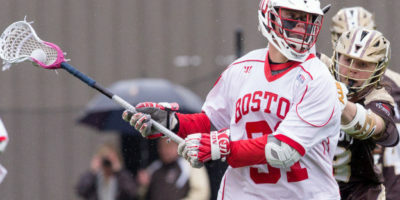 Senior attackman notched career-high six goals; Gray recorded five points (1g, 4a) [MEDIA RELEASE] COLUMBUS, Ohio – Senior James Burr (Hamilton, Mass.) 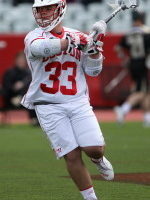 became the second Boston University men’s lacrosse player to score 100 career goals on Saturday at No. 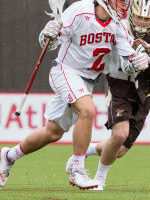 15/16 Ohio State, but the Terriers eventually fell to the Buckeyes, 17-10, at Woody Hayes Athletic Center. 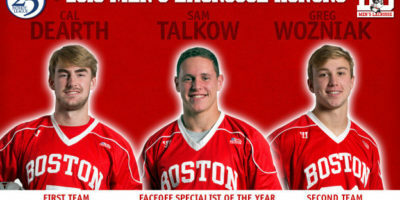 Seven different Terriers found the back of the net WORCESTER, Mass. 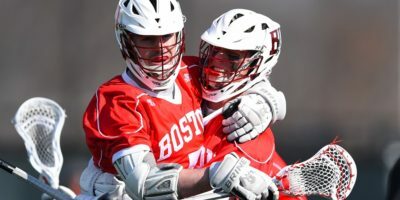 – The Boston University men’s lacrosse team dropped an 11-7 decision to Holy Cross on Friday night at Holy Cross Field. 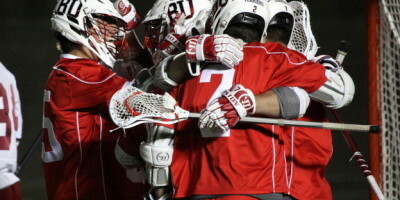 BU (8-6, 3-5 PL) will miss the Patriot League Tournament by a game for the second straight season while Holy Cross (4-10, 3-5 PL) earns the sixth and final spot. 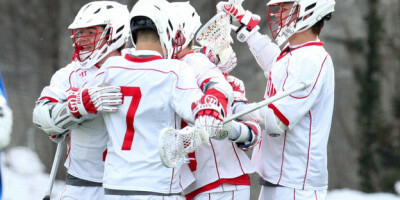 MEDIA RELEASE Eleven different Terriers scored; Burr matched career high with four goals EASTON, Pa. – Eleven different Terriers scored a goal to help lead the Boston University men’s lacrosse team to a 16-4 victory at Lafayette on Saturday afternoon at Fisher Stadium. 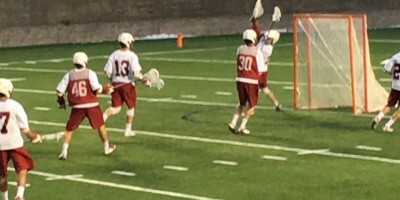 By: Kevin S. Clancy, Beat Writer Boston University Although it was an away game for Boston University, you could see Nickerson Field from atop Harvard Stadium with the full moon lighting up the sky. 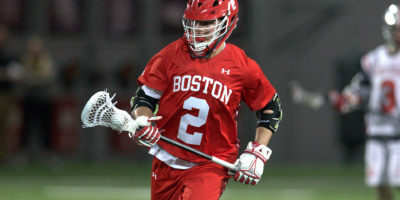 BU Junior Cal Dearth made use of the moonlight and cheering fans to secure the win with his four goals and two assists including the final three to notch the win over Harvard 9-8. MEDIA RELEASE LEWISBURG, Pa. – The No. 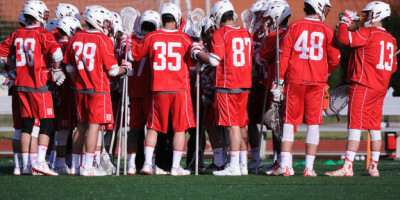 16 Boston University men’s lacrosse team suffered a 13-6 setback at Bucknell on Saturday at Christy Mathewson-Memorial Stadium. BU (6-2, 2-1 PL) and Bucknell (5-3, 2-2 PL) were tied, 4-4, after 30 minutes, but the Bison outscored the Terriers, 9-2, in the second half to snap the Terriers’ three-game win streak.